Bernard Jackman has claimed all four Welsh regions are “on their knees” following the collapse of the Welsh Rugby Union's proposed merger between Scarlets and Ospreys. Speaking on Independent.ie’s The Left Wing podcast, the ex-Dragons coach said: "For sure there's a funding shortfall, but all the Welsh regions are on their knees. They need more money not less, if they want to compete. "I think it's pretty scary for a lot of players, coaches and fans. "Rugby hasn't painted itself in a great way in terms of governance, decision making and leadership with firstly the World League being a major faux pas and obviously this week what's going on in Wales. "We saw the Ospreys were pretty poor against Connacht on the weekend and there's no doubt the turmoil in the background has caused a shift from playing to their livelihoods. "The Ospreys have been Wales' most successful Welsh region yet had the hardest part of embracing regional rugby because they actually merged Swansea and Neath, who were massive, massive rivals. It was said it could never be done. "They were a team who were respected throughout Europe and did huge work in the community. "We've seen the four Irish provinces move on. The two Scottish districts have got their act together, properly funded, good coaches and players with strength in depth. "They can win in the Six Nations and November windows. "The problems in Wales because the Ospreys produce so many players to the international team, they don't have the finance for the back-up. "From a PRO14 point of view they need a way of funding the four regions." 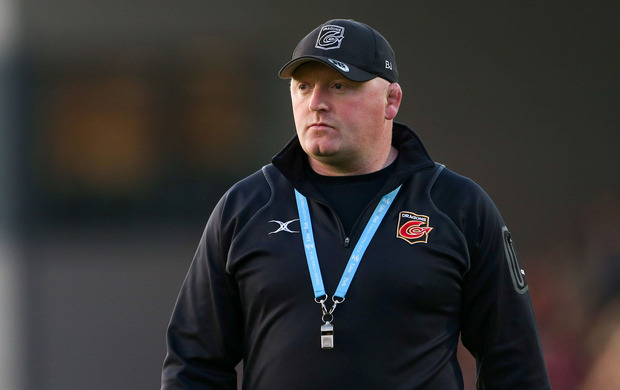 Having coached in Wales for 18 months until leaving Dragons last December, Jackman is very familiar with the set-up over there and believes that the home of Welsh rugby holds the key to unlocking the finance required to solve the problem. "They are very lucky to have the Principality Stadium which is a phenomenal arena which is very attractive for non-sporting events,” he explained. "I believe the loan on that is nearly paid off and they might have to re-mortgage that and at least you've got an asset that can produce money. "The regions are all run on a shoestring compared to their competitors and a little bit of extra money isn't a huge amount in the scheme of things. "Wales are trying to take private benefactors out, which I can understand, because they feel they don't have the control, but they must also find ways of replacing that money from central funds." Jackman also suggested that the inability of the Welsh support to embrace the regionalisation of the game has also been a factor, unlike the situation on this side of the Irish Sea. "We're lucky in Ireland as it's divided in four and we all knew where we're from, You have an identity. Some never follow a region in Wales," he added. "There are people who will follow Wales and a Premiership club or Wales and their local district club. They'll won’t go to regional rugby because it was never attractive enough. I would say they never had a winning product to follow either. "It's difficult because there isn't that identity and the only chance you have is having world class players, winning teams in a well supported environment and background, to produce these players for the national side. Everything is going towards the top. "Warren Gatland runs a very tight show with the national team, regards brilliant facilities and very good coaches.So when the players go from regional rugby into that it's like going from three star to five star. "That's not ideal and you'd like to have four star underneath in terms of medical back-up, analysis, strength and conditioning. That's what gets cut when you take the money out. "From a Celtic and Six Nations point of view we need Welsh rugby to be strong. If they slip back, it's not going to help the PRO14 as a product."